I love the visual impact of creating diamonds from 2 charms of the same color, and by alternating their placement a fun zig zag forms, which I thought looked a lot like ric rac! 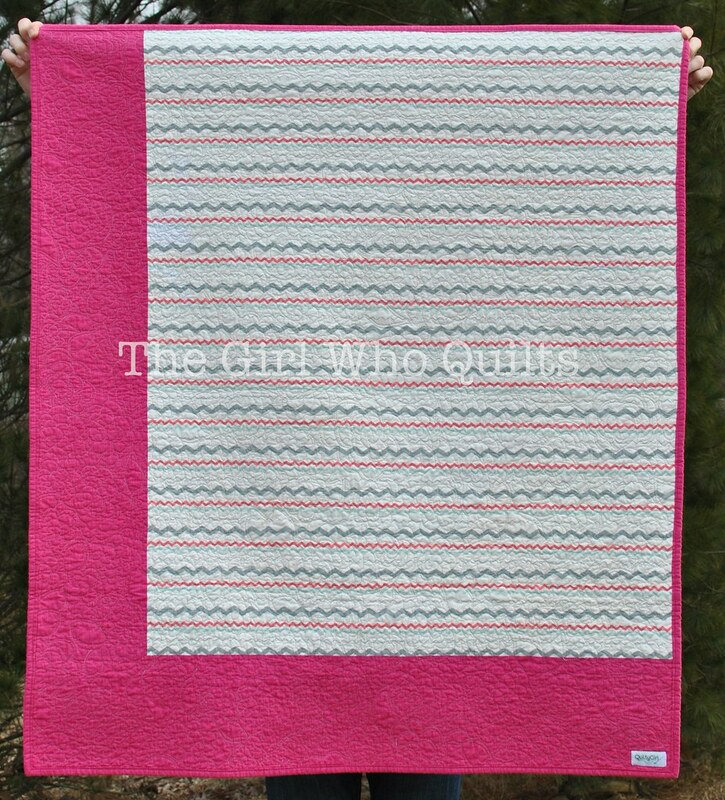 Because the prints are all very soft in color, I added a thin, bright pink strip above and below the ric rac to set it apart a bit from the grey background. 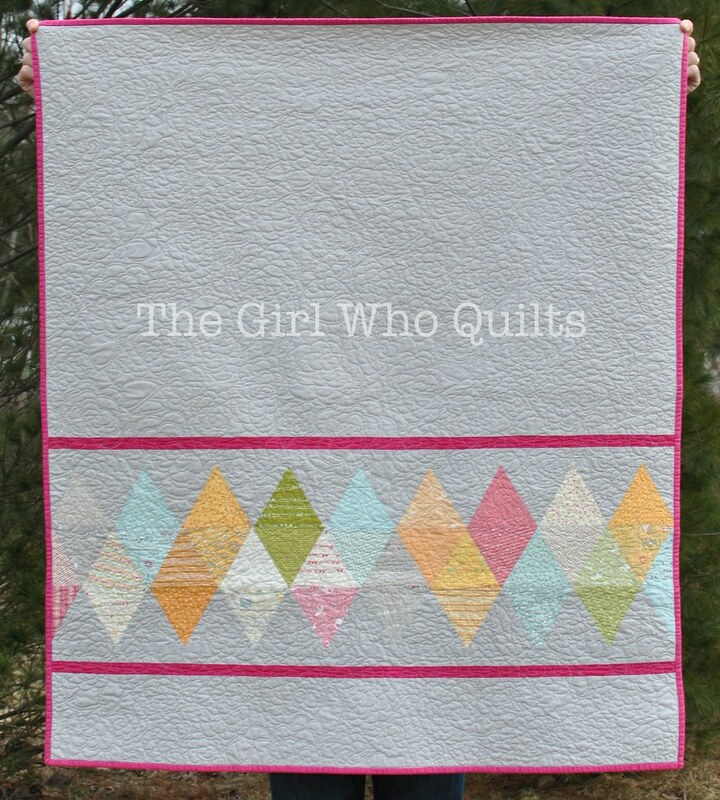 For the quilting, I played around a little more with the floral free motion design from Angela Walters' book. This time I echoed some of the flowers, which Angela showed us in her class at QuiltCon. I also added a few leaves throughout. 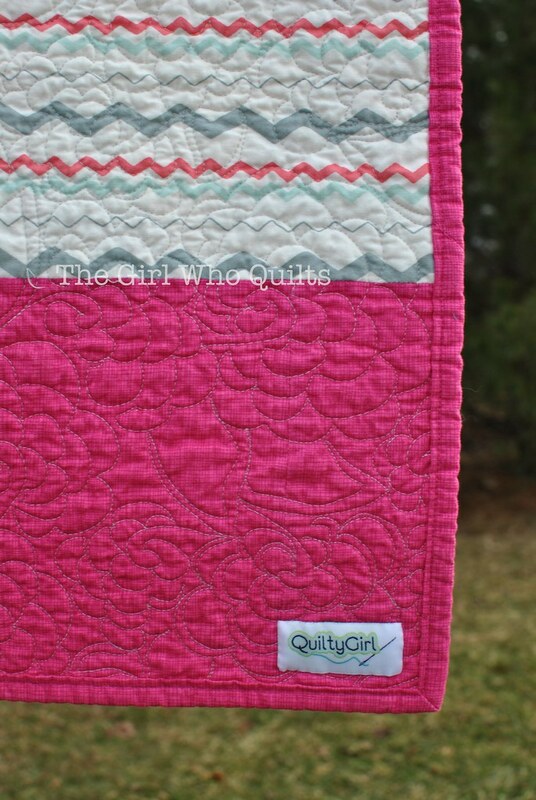 The binding is the same bright pink that I used on the quilt front. 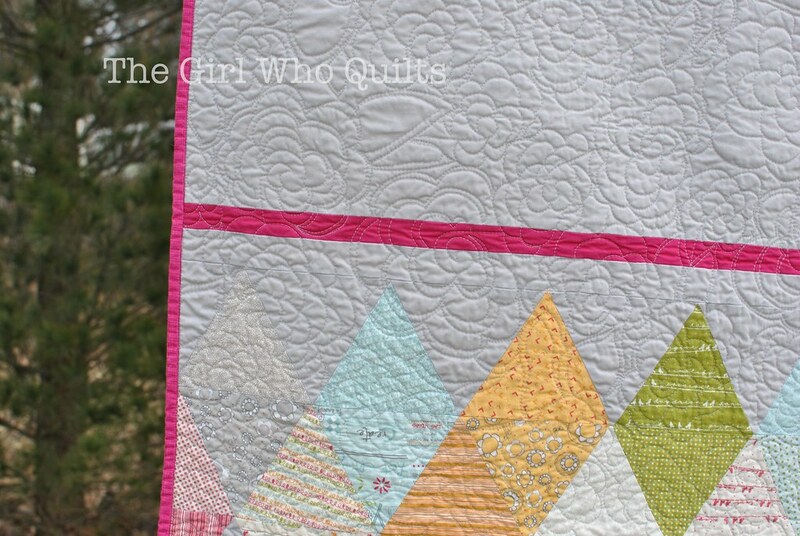 The back is a large piece of a zig zag print plus some more of the bright pink. Finished quilt size is 40" x 47". 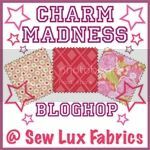 I'm linking up to the Charm Madness over at Sew Lux! 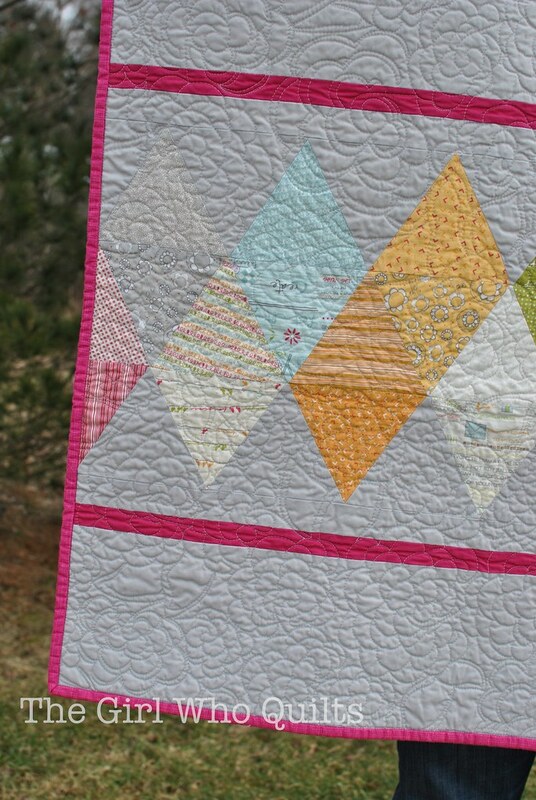 Be sure to check out all of the fun charm projects and link ups! Details are in this post!